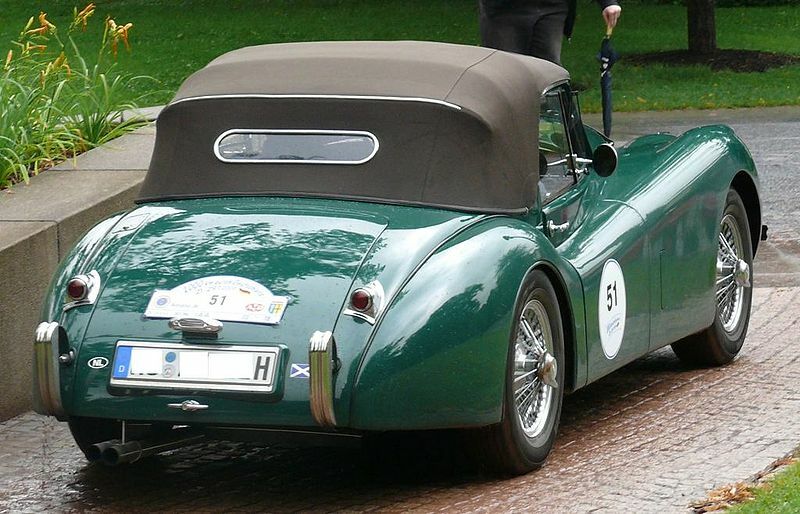 Additional Info: OTS stands for Open Two Seater (Roadster). 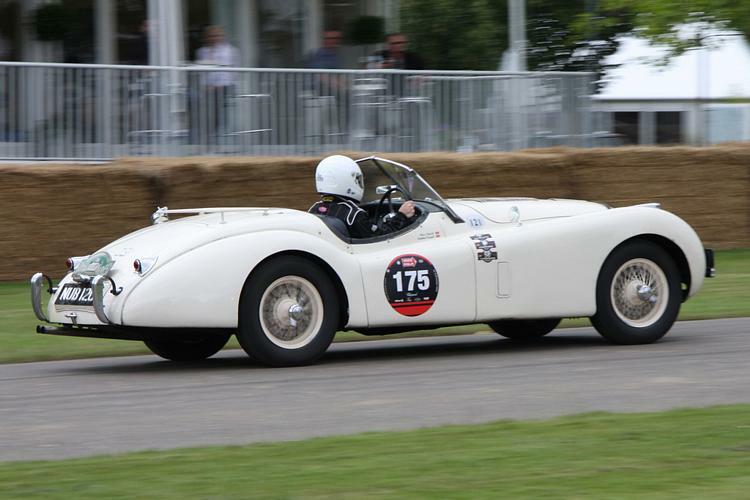 The 120 stands for the top speed, but in a press test to prove that it could do this, it actually ran much faster. 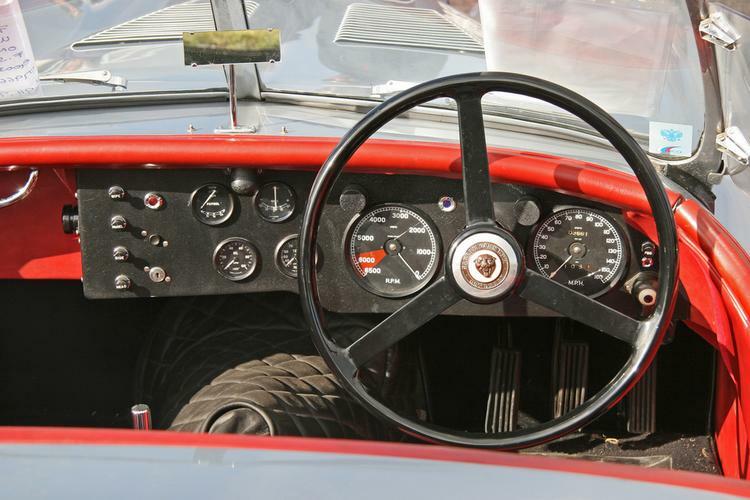 An engine compression ratio of 7.0:1 was also built for extra mileage. 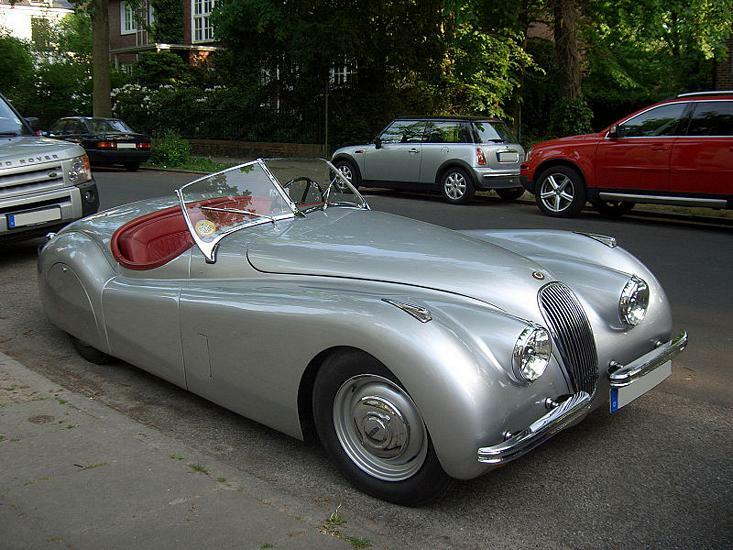 Built with aluminium bodies until 1950, then a switch to steel, although the boot, bonnet and doors were still made from aluminium. 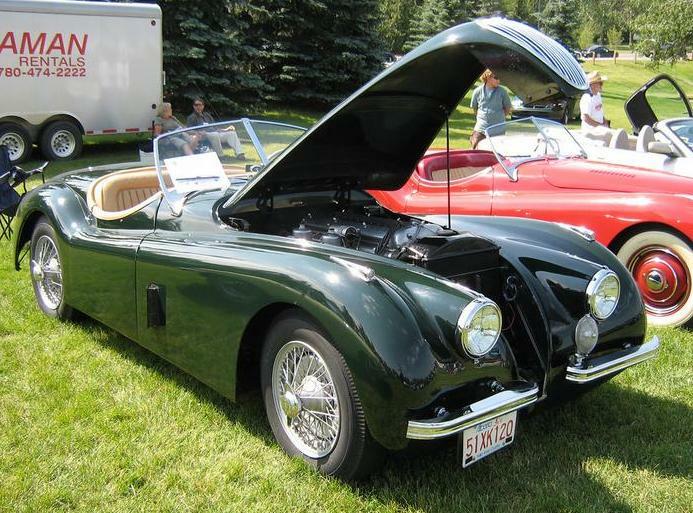 The XK120 was also available as a Fixed Head Coupe (XK120 FHC) from 1951-1954, performance was pretty much the same as the roadster. 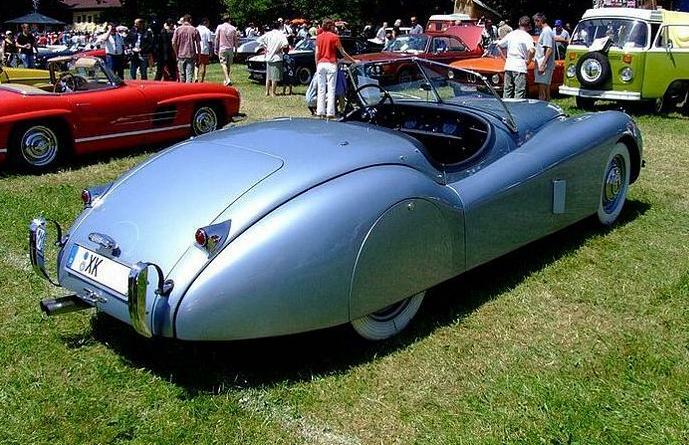 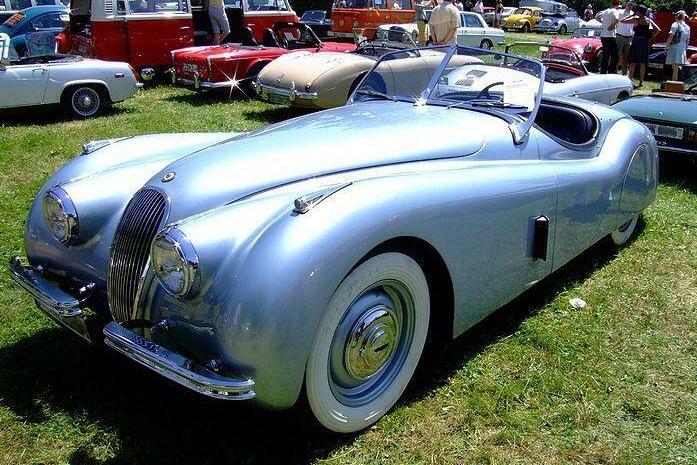 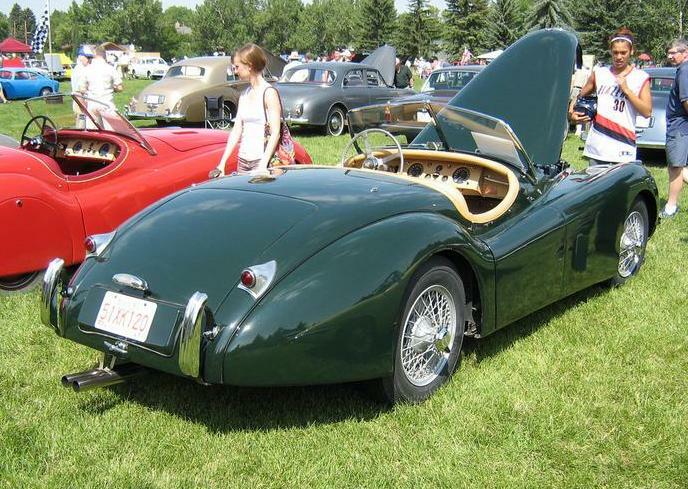 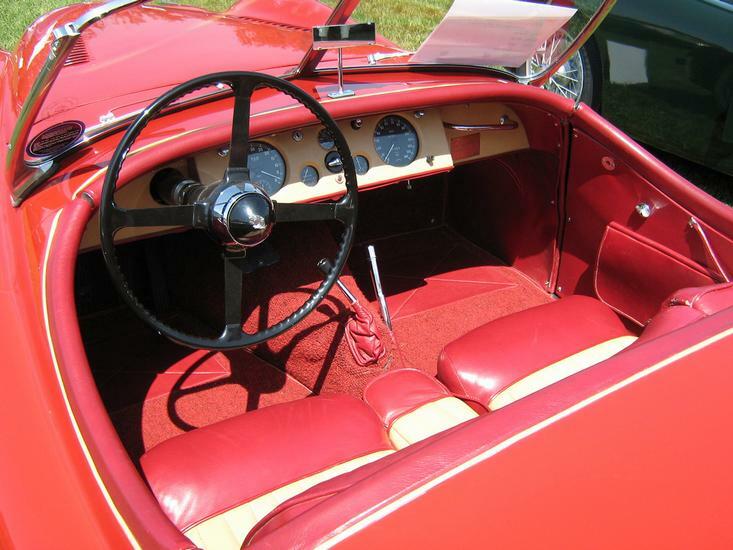 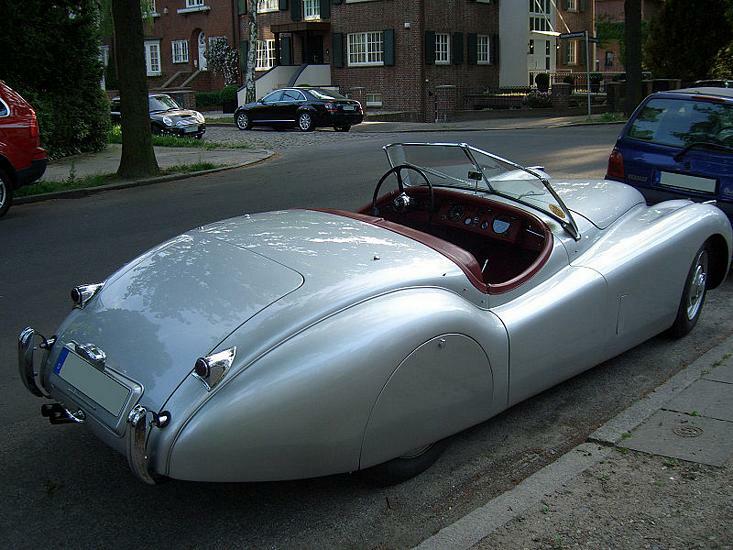 Also a cabriolet – Drop Head Coupe (XK120 DHC) was built in 1953-1954 with a foldable canvas top. 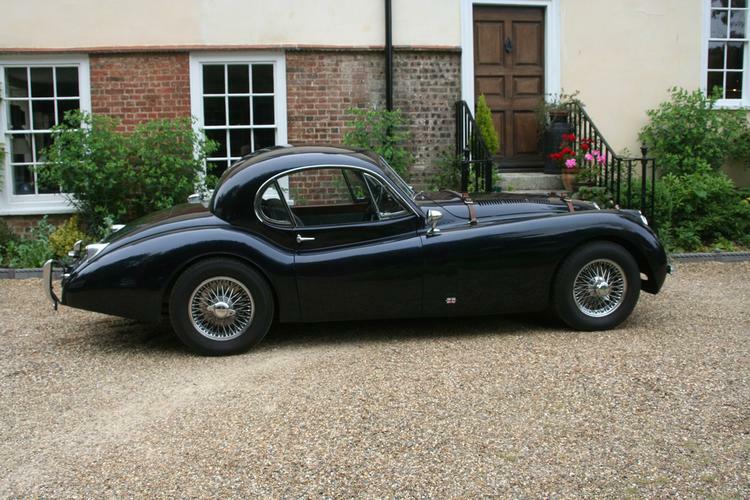 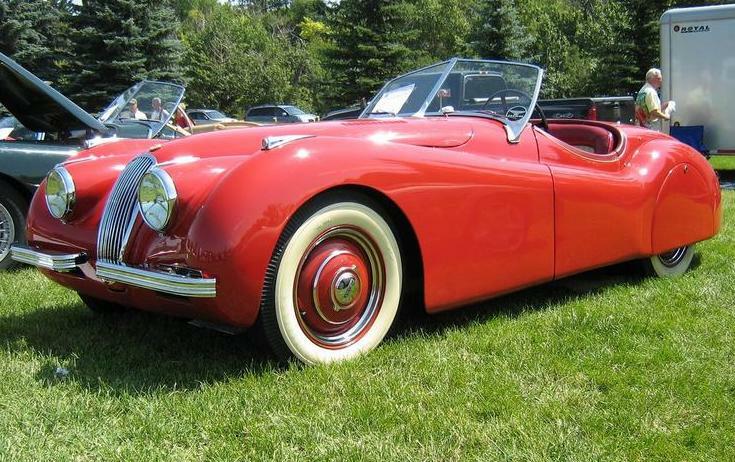 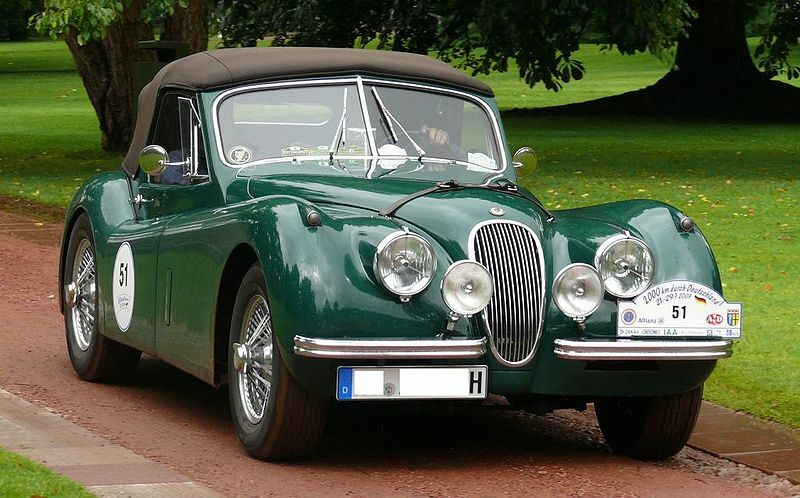 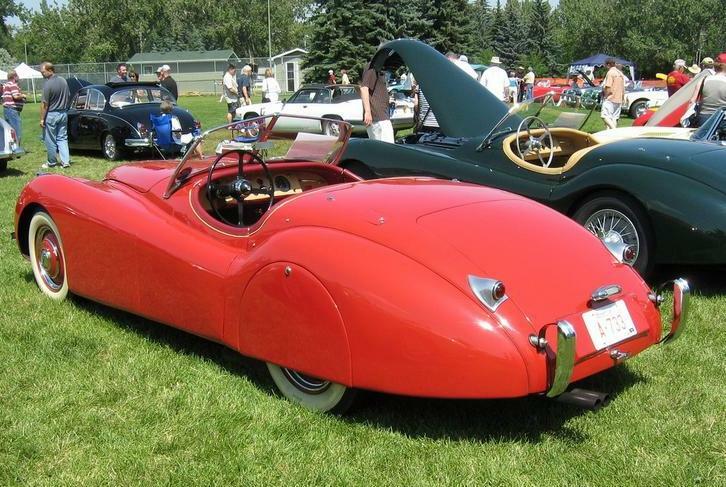 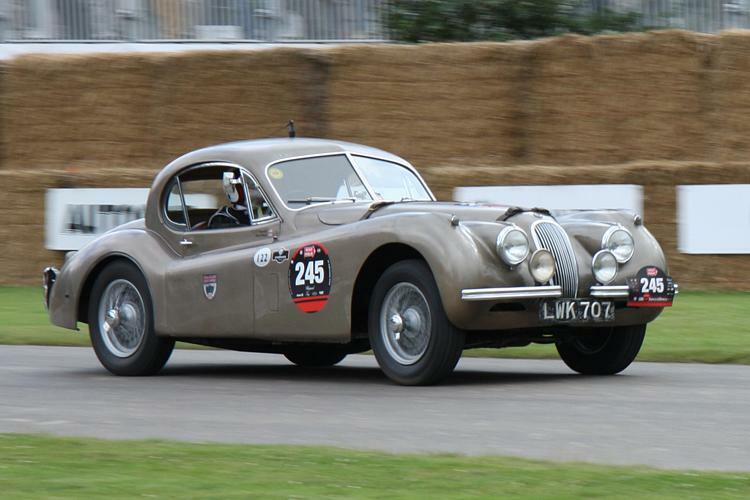 In 1952 an XK120 M or SE (Special Equipment) model was built with a 180bhp engine, uprated suspension, exhaust and added wire wheels (rear wheel arch spats had to be removed).